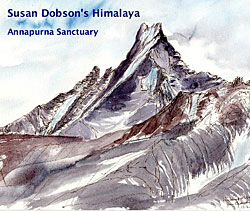 A book of drawings and watercolours made during my walk from Phedi near Pokhara up to the Annapurna Sanctuary in the Nepal Himalaya. Extracts from the Journal, kept during my journey, give insights into my experience of being in the high mountains and working in this remote and magnificent landscape. 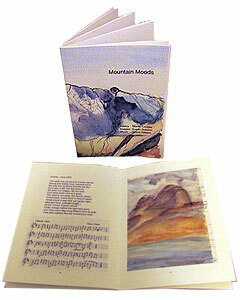 9 poems, 5 compositions, 10 colour images and 2 line drawings. Full colour, 20 pp.